Patrick Materman (above), Marlborough winemaker, hosted my tasting. 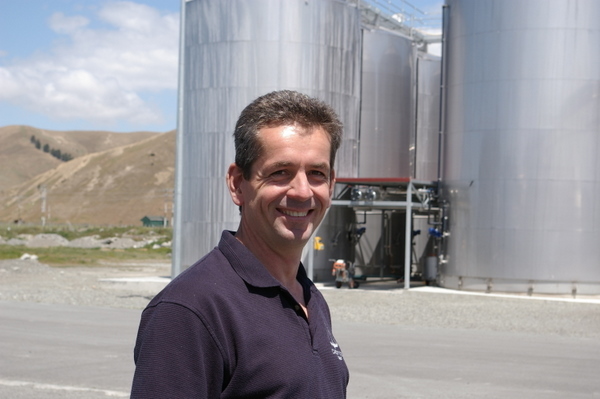 After a bit of a false start – he studied horticulture with a view to growing flowers for a job - Patrick has been with Montana for 18 years, spending 4 years in Auckland and the last 14 based in Marlborough. About 70% of what goes through the Marlborough winery is Sauvignon Blanc: this year (2008 vintage) 30 000 tons will be processed, of which some 20 000 will be Sauvignon. Method Champenoise is a big part of the business, and for Deutz 1300/1400 tons of fruit are hand picked in mid-February. The last fruit to come into the winery (the Bordeaux-style reds, or in some years a late harvest Riesling) is in the first week of May most years. 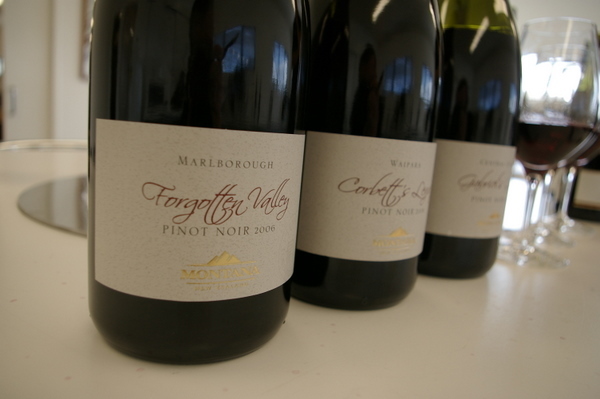 In the early days the trend for Marlborough Sauvignon Blanc was to make it with a nettly, grassy nose with lots of methoxypyrazine. Then things went the other way, and winemakers opted for a riper style, with sweaty passion fruit. The trend now is to mover away from super-ripe to go for wines with a herbal element (blackcurrant) and high thiol (volatile sulphur-containing compounds that are an important part of the varietal typicity of Sauvignon Blanc) character – these are the wines that are winning the shows. Montana tend to start ferments relatively warm, let them run for 2–3 days to build yeast numbers, and then cool to 12–13 degrees Centigrade for the remaining time. This gives a big thiol lift. 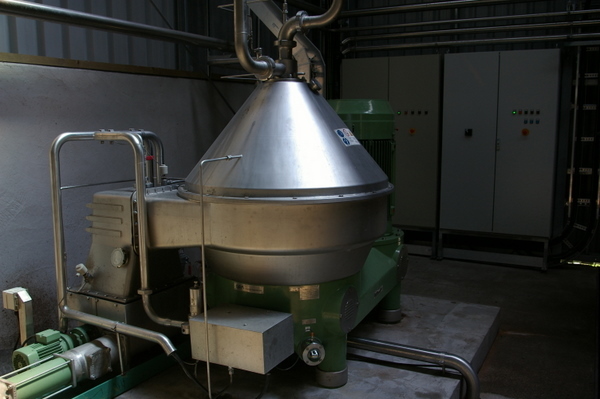 Materman says that they look at copper trials pre-bottling (copper removes any unwanted thiol notes – there are bad thiols as well as good ones), and use the lowest amount needed to clean the wine up, if any. In vineyard areas with young stony soils they are looking to use fertigation to improve nitrogen levels, which helps ensure a healthy fermentation. Yeast strains are chosen with the required flavours in mind. Interesting fact: Montana is one of the world’s leading Pinot Noir producers in volume terms, crushing some 3000 tons annually. First, a couple of fizzes. Then the new series of ‘terroir’ Sauvignon Blancs, made in quantities of 1000 cases each designed to show the regional differences within Marlborough. 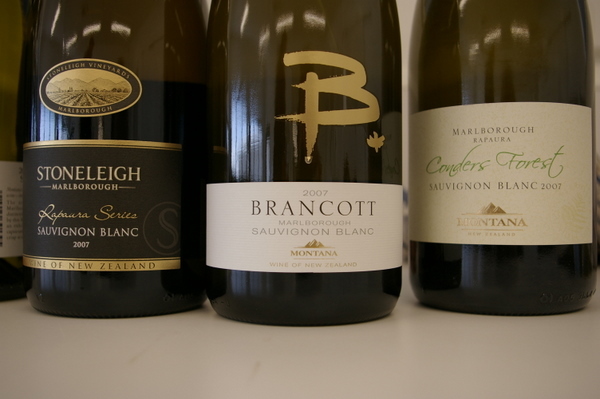 The differences aren’t huge, but they are there: I reckon you need to be quite a keen follower of Sauvignon Blanc to be able to spot them in a blind tasting. Fresh, bright green herby edge to the nose. The palate has a generous fruity quality with a bit of herbal interest. Quite a rich, mouthfilling style. There’s some spicy structure here to this fresh, bright Pinot, which has some dark cherry fruit, herbs and spice. Quite a fresh style.